Kauai Island Map - Na Pali Coast, Hanapepe, Poipu, & More! 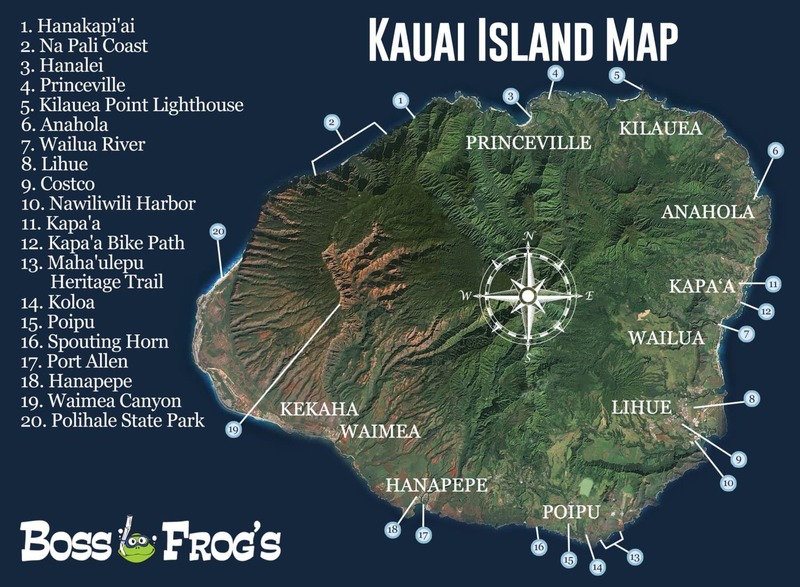 Aloha, and welcome to the Kauai Island Map! Whether you’re planning a trip to the Garden Isle, or you’ve already built your first sandcastle, these short descriptions of beauty and adventure are sure to serve you well. Read on to learn about special places to hike, explore, shop, or just lounge around on your vacation. Let us know if we can answer any questions for you, and have a great time! 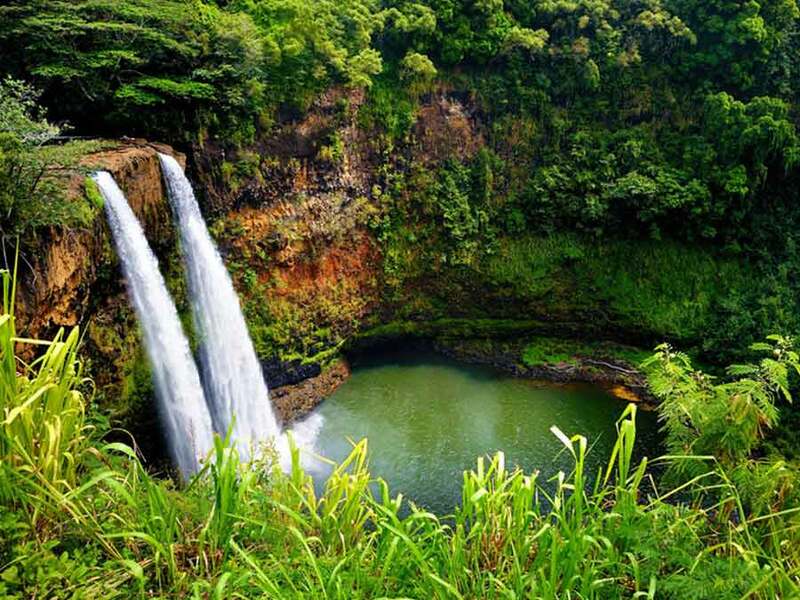 The northwest part of the island is one of the most stunning and iconic regions of Kauai. 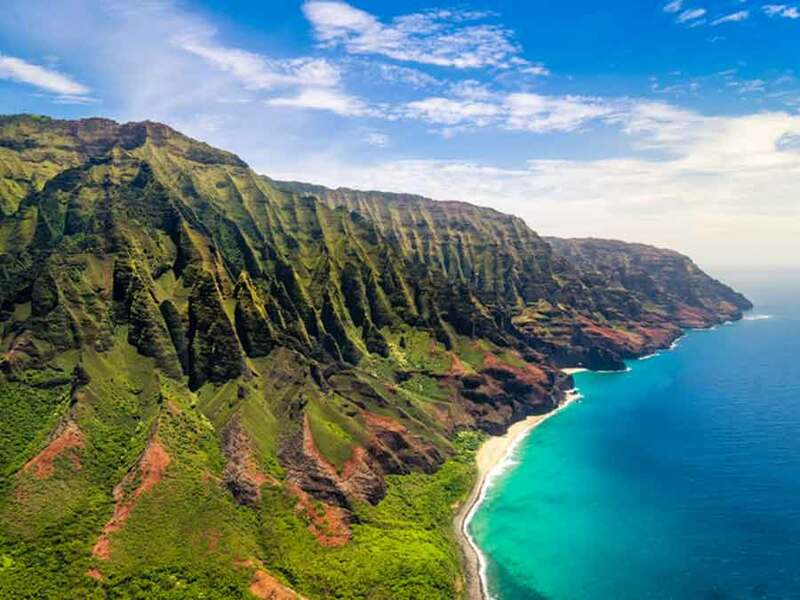 The Na Pali Coast can be viewed by boat, helicopter, or kayak, as well as on foot. 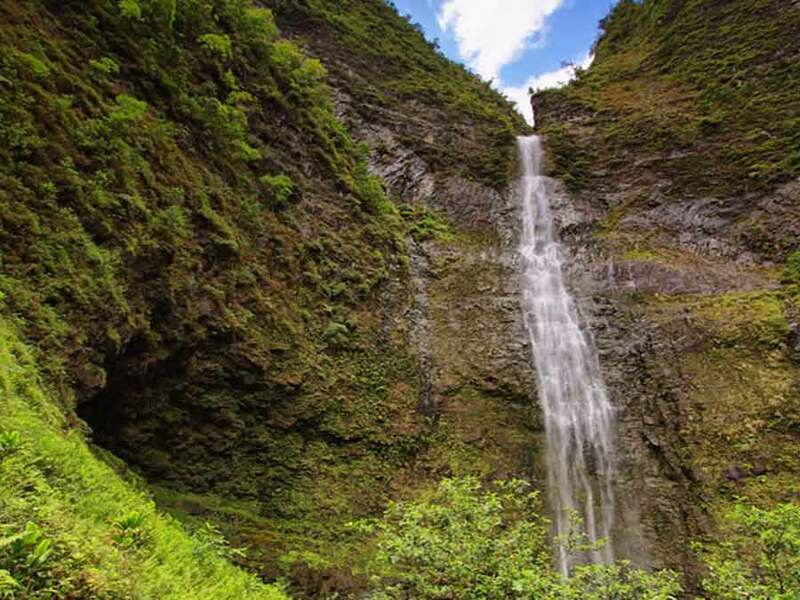 Avid hikers will love the challenging Kalalau Trail that winds along Na Pali (“The Cliffs” in the Hawaiian language). 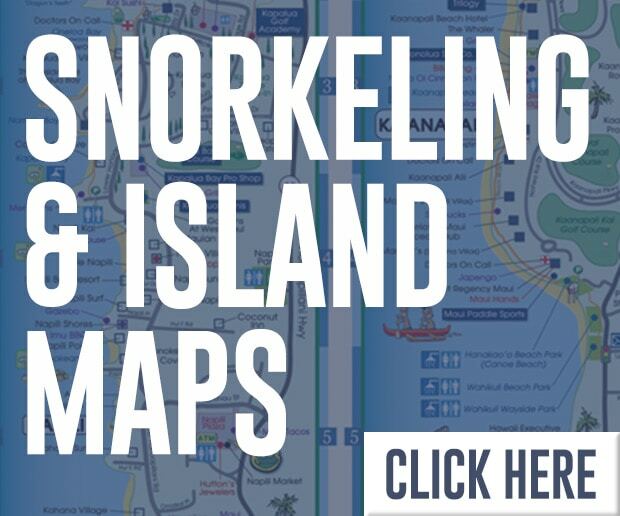 Take a boat for incredible snorkeling, dolphin watching, and sea cave exploration. Slightly south of the Na Pali Coast (and yes, reachable by car), is the lovely town of Hanalei. 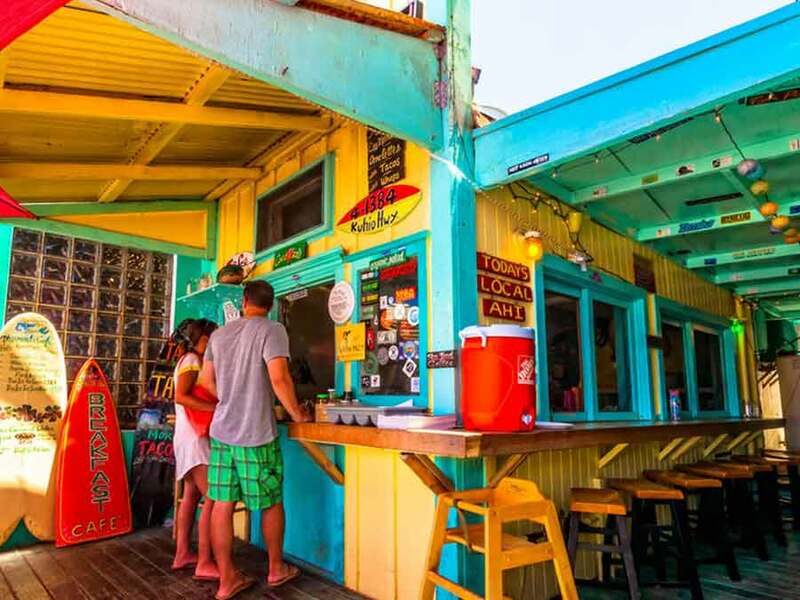 Browse through local shops, food trucks, and eateries, and drowse on the beautiful beach at Hanalei Bay. 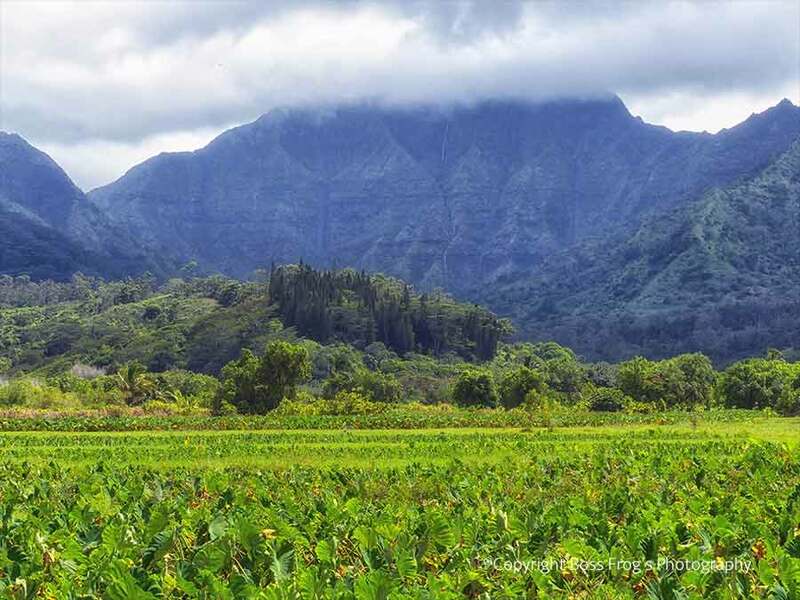 See parts of the valley not open to the public, and gather first-hand knowledge of Hawaiian culture by taking a tour of the Haraguchi Rice Mill and Taro Farm. Princeville brings together incredible resorts, lush golf courses, unique restaurants, and fabulous shopping, all in the same place! Some of Kauai’s most magical beaches are nearby as well, including Hanalei Bay and Anini Beach Park. Princeville also has its own airport, so you can begin your relaxation the moment your feet touch the tropical tarmac. 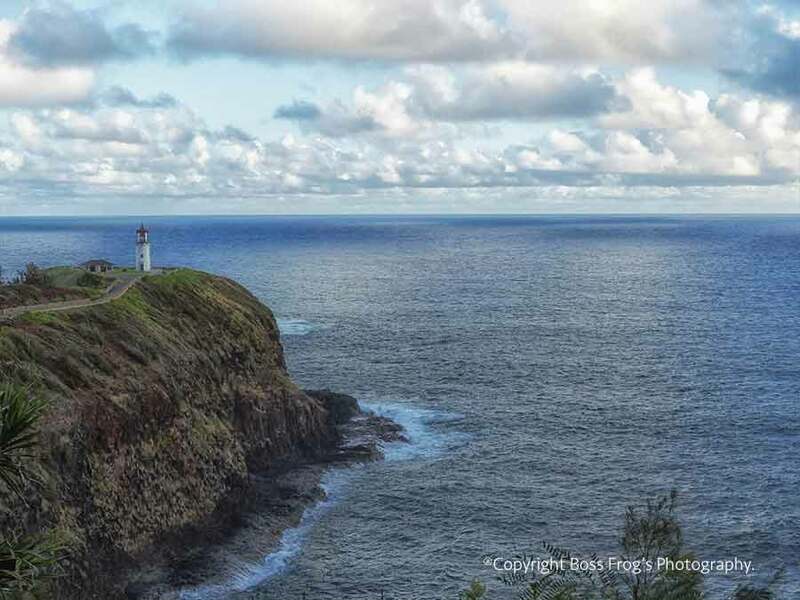 Built on Kilauea Point in 1913, this lighthouse guided ships traveling between Asia and Hawaii for 62 years. The cliffs surrounding the point are nesting grounds for several migratory bird species. Sporting feathers and feet designed for long ocean voyages, the birds you’ll find include the great frigatebird (‘iwa) and the red-footed booby. There is a good chance you’ll see the nene goose here, as well. 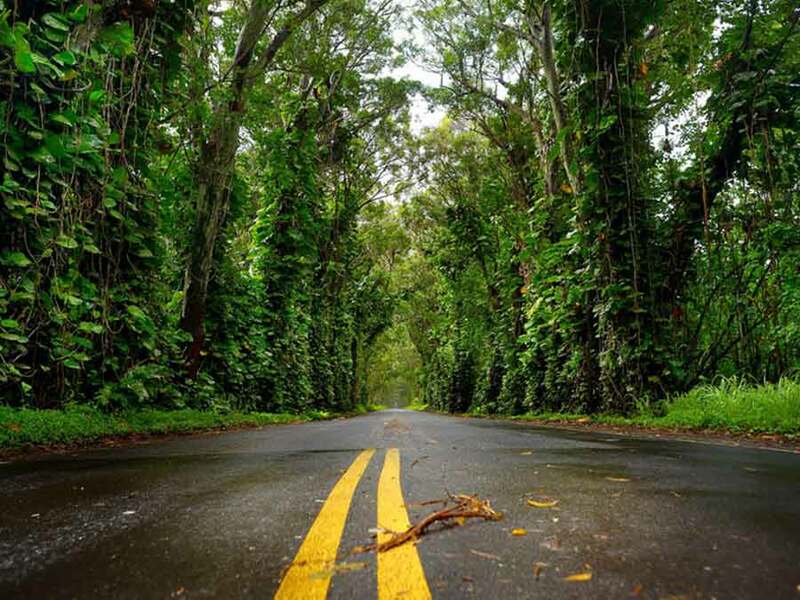 The main attractions for visitors to Anahola are the ‘Aina Kai Botanical Garden and Anahola Beach Park. Both of these quiet, natural spaces can bring you to a state of deep peace if you let them. The beach is watched over by lifeguards, and it tends to be fairly deserted. If you’d like to fish from the shore, drop a line to our friends at Hooked on Kauai – they rent great fishing gear. This is the only river in the Hawaiian Islands that is safe for vessels larger than a kayak. Wide, with a generally slow and easy current, the Wailua River is just right for kayakers and swimmers. The world-famous Fern Grotto and Smith’s Family Luau can be found upriver, and the river mouth empties into brilliant Hanalei Bay. 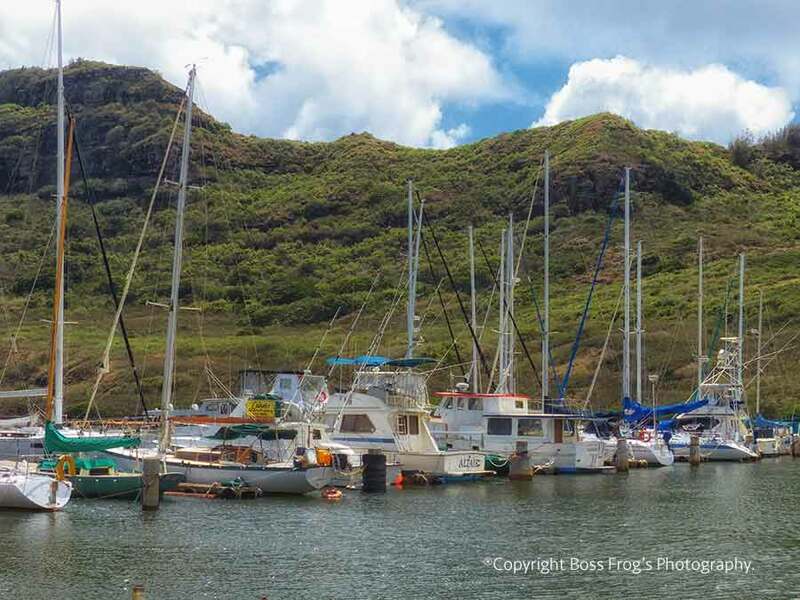 Lihue is Kauai’s main hub – what you could call the “city” on this quiet island. Here is where you’ll find the main airport and most of the shopping centers. There are some unexpected hidden gems to visit nearby, too. 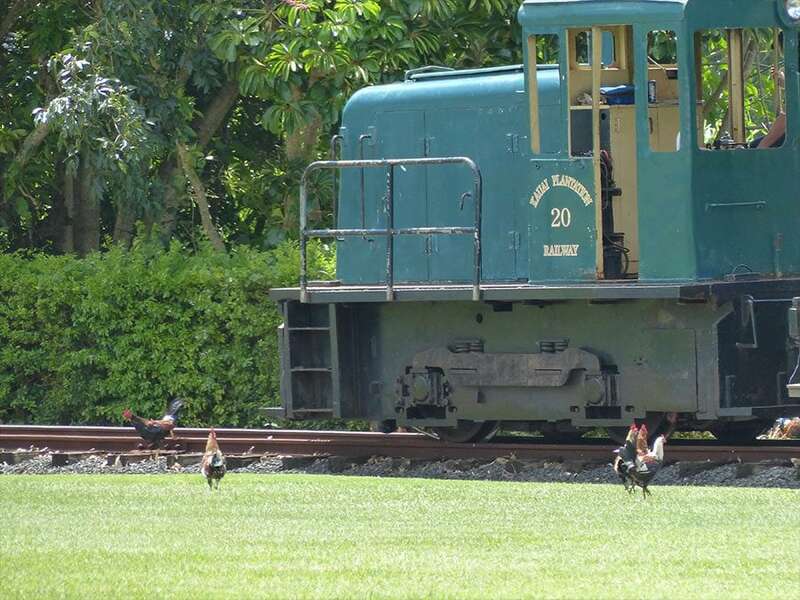 Check out the Kilohana Plantation to find quaint shops, beautiful furnishings, rum tasting, and a train that the whole family can ride! There’s no place like Costco for stocking your Kauai vacation rental – especially if you’ve brought the whole family along! 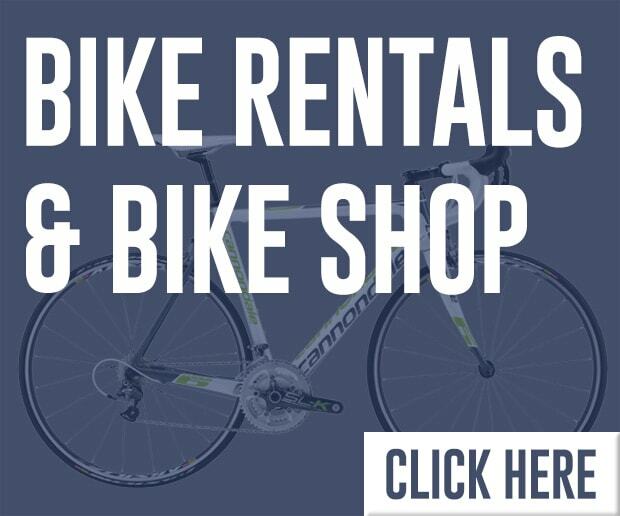 Find great deals on food (both mainland and local), pick up chocolate-covered macadamia nuts for your friends back home, and even get your glasses adjusted at the optical center. Remember your membership card when you pack for the trip! Nawiliwili Harbor is where the cruise ships dock, commercial vessels unload cargo, and many locals keep their slips. Watercraft both large and small float peacefully before the lush Haupu mountain range, and locals fish from the rocks along the edges of the harbor. Sheltered Kalapaki Beach with its fun shops, restaurants, and beach volleyball nets sits just to the north, as does the opulent Kauai Marriott Resort. Just a short jaunt south of Wailua, Kapa’a Town offers an assortment of antiques, Hawaiian gifts, and waterwear. 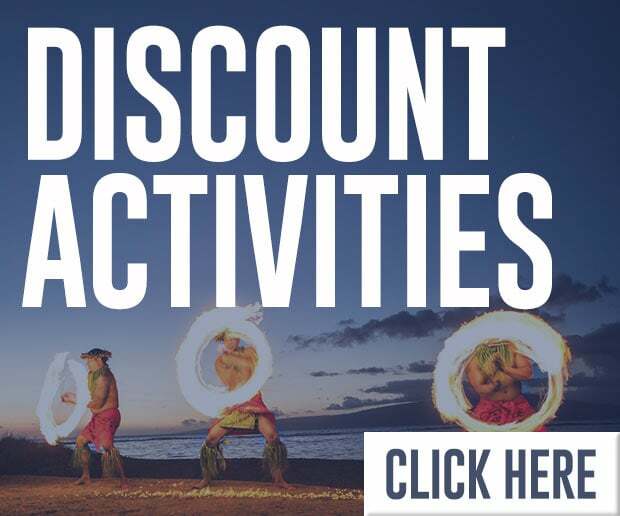 You’ll love the unique Kapa’a eateries, too, and the cool creations at Wailua Shave Ice will create delicious memories you’re sure to cherish. Set some time aside to browse the Kamoa ukulele shop, as well – they’ll even show you how to tune your new find! 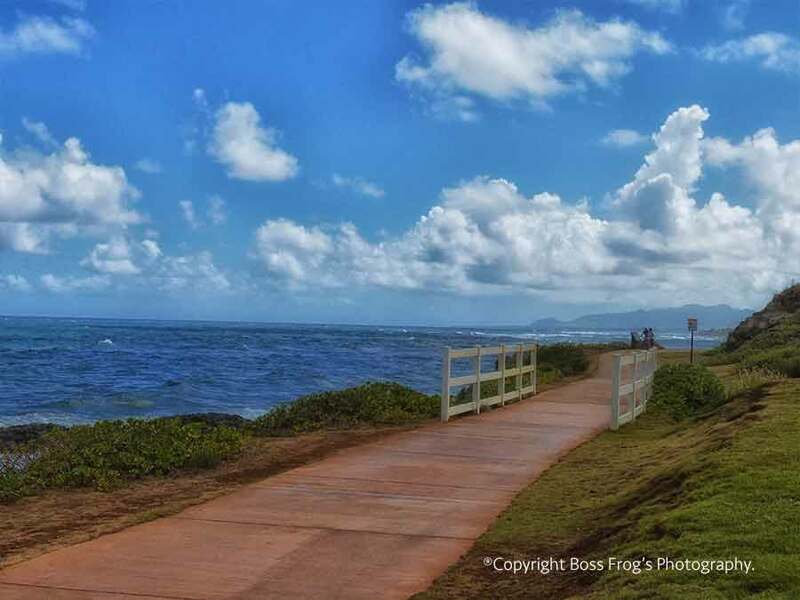 Wide and well paved, this path wraps right along the coast from Kapa’a to Ahihi Point. Ocean waves crash against the rugged coast, and seabirds dip and soar overhead as you roll happily along. This path is perfect for wheelchair use and walking, too – just keep an ear out for the dinging of bicycle bells! 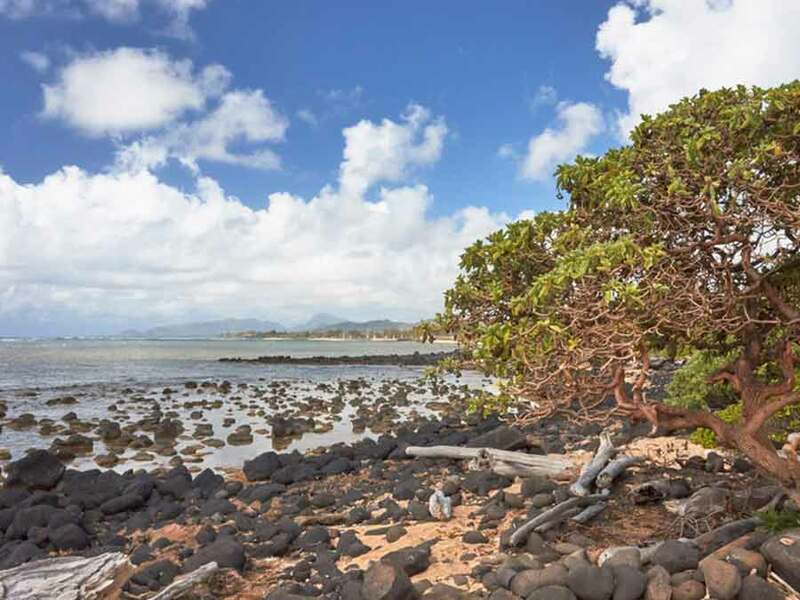 Ke Ala Hele Makalae is now two miles long, but it will eventually go 17 miles along the east side of the island, beginning at Lydgate Beach Park and ending at Kealia. If you want to experience the nature of Kauai, you must pack your hiking shoes to explore this stretch of southern coastline. 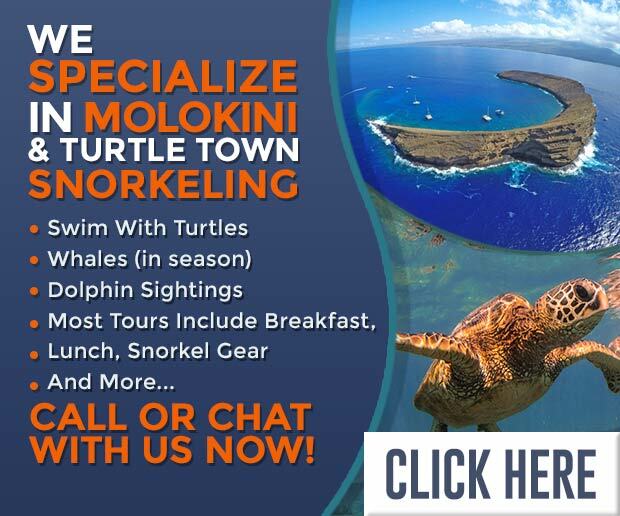 In only a quarter mile you can find amazing wildlife, magnificent geology, indigenous plants, ancient petroglyphs, gorgeous beaches, and more! Remember your hat, sunscreen, and drinking water when you hike the Maha’ulepu Heritage Trail. Koloa is best known as the site of Hawaii’s first commercially viable sugar plantation, and remnants of this past can be seen throughout the small town. These days, the old plantation stores shelter marvelous retailers and restaurants, and the monkeypod trees provide even more beautiful, expansive shade. 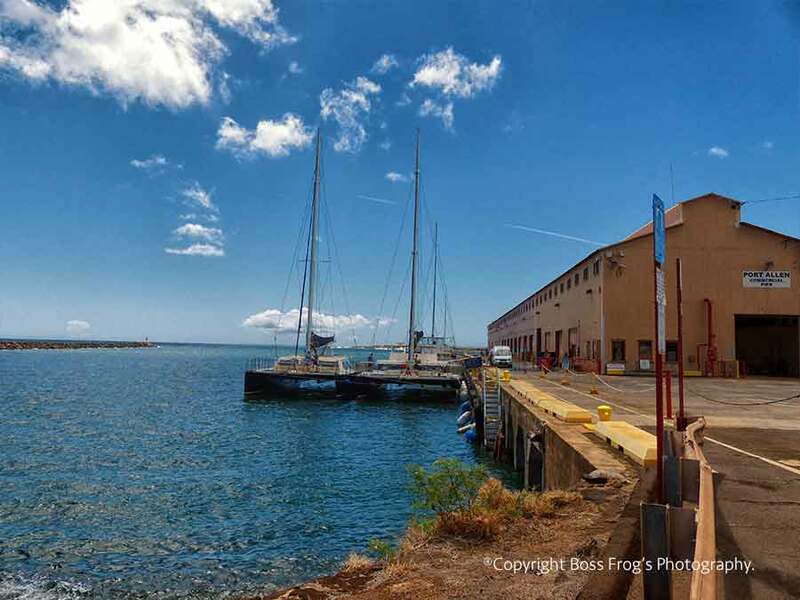 Koloa is a bit inland as island towns go, and their History Center is a nice place to stop before going snorkeling or beach walking in Poipu. 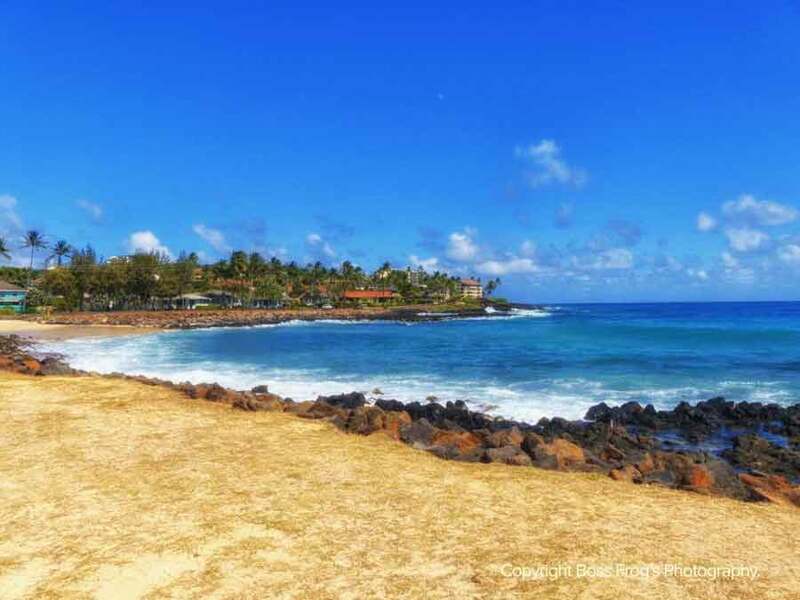 This south side town boasts some of the most popular snorkeling beaches on the island – Poipu Beach Park and Lawai Beach! 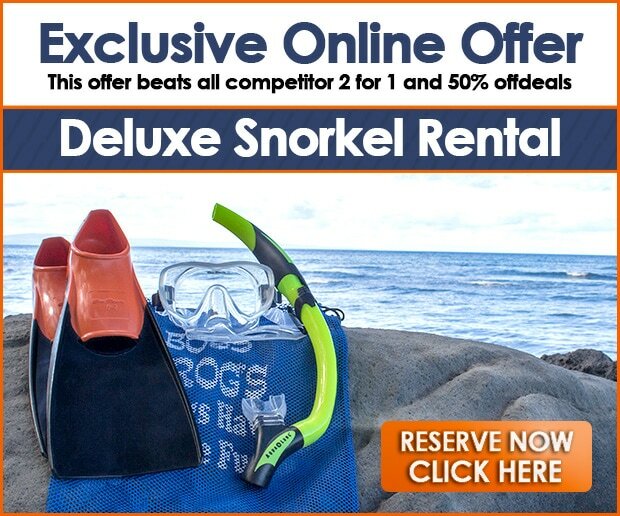 Rent your snorkel gear so you don’t have to lug it all home with you. 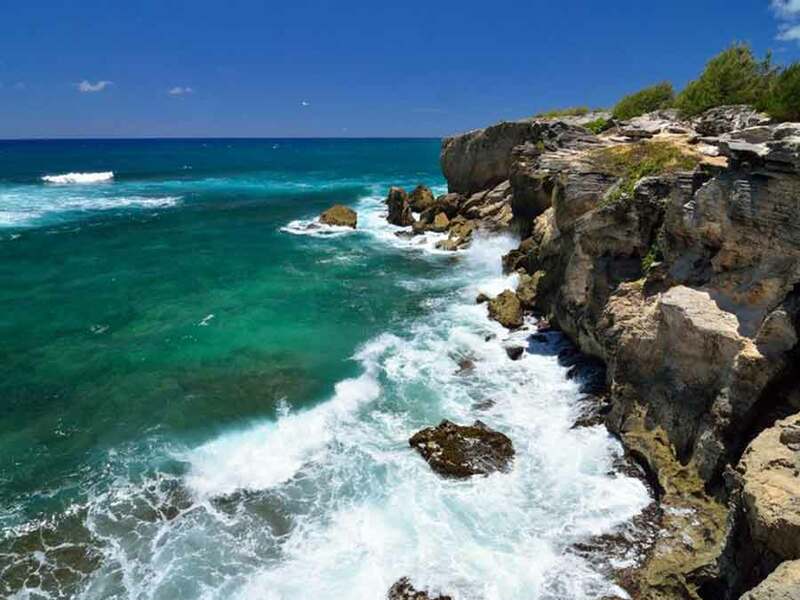 Shipwreck’s Beach is also located here, but as the name suggests, it’s not a safe place to get in the water. 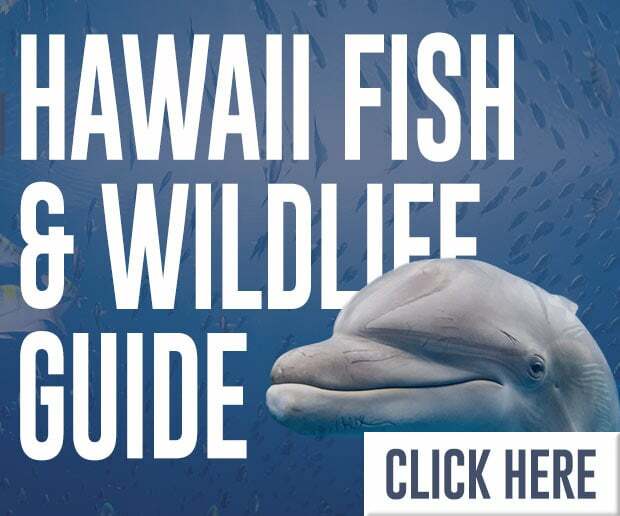 While you spend time on the beaches, look for (but do not approach) the endangered Hawaiian monk seal. You may see one snoozing on the sand. 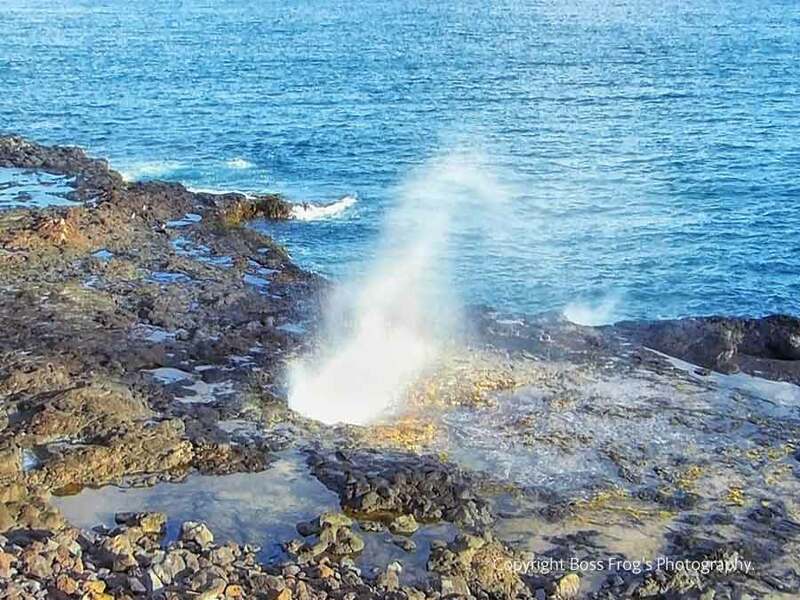 Just south of Poipu is a dynamic landform called Spouting Horn. 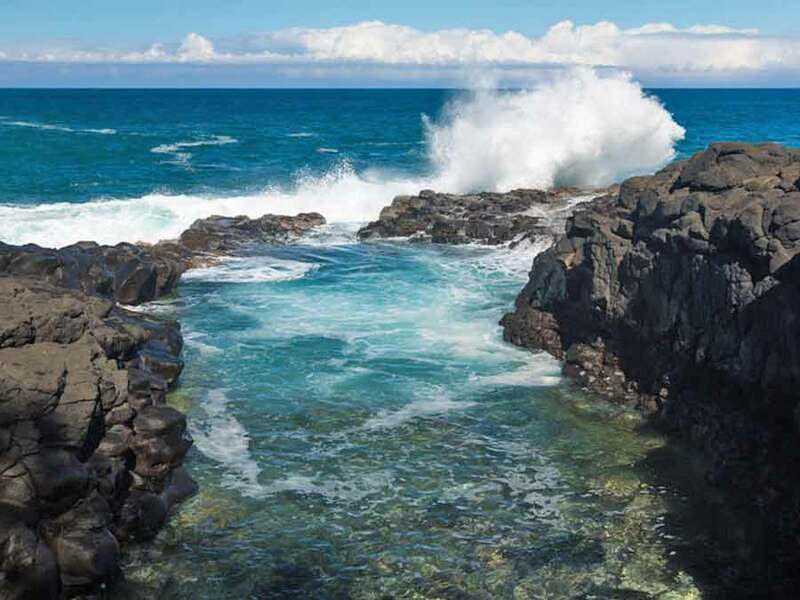 Like the sighing exhale of a humpback whale, an upward aqua rush of ocean shoots through stone channels, right off the coast! This spot also delivers one of the best-kept shopping secrets on Kauai – the Spouting Horn Craft Booths! Enjoy searching through the unusual handiworks, jewelry, and imports to bring home what suits you. Some of the pieces here are made by local Kauai families. 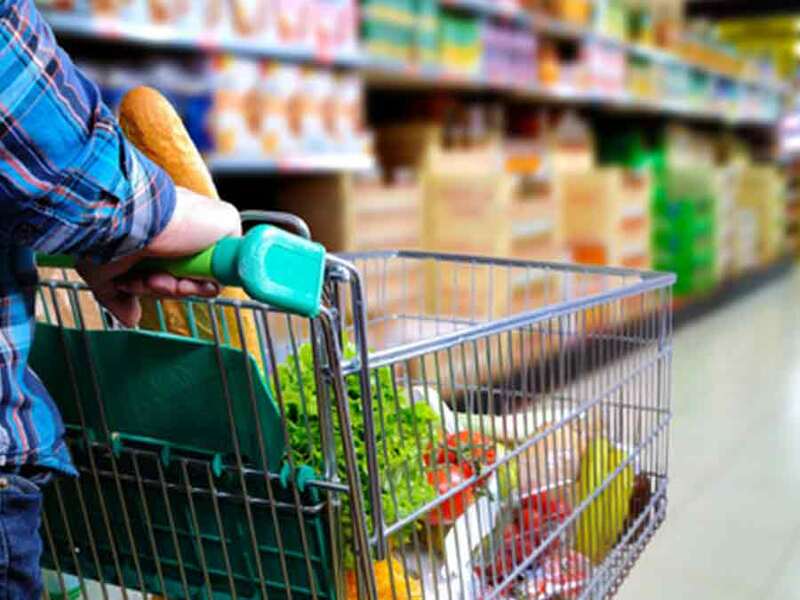 There’s nothing quite as nice as loving what you buy, and why! 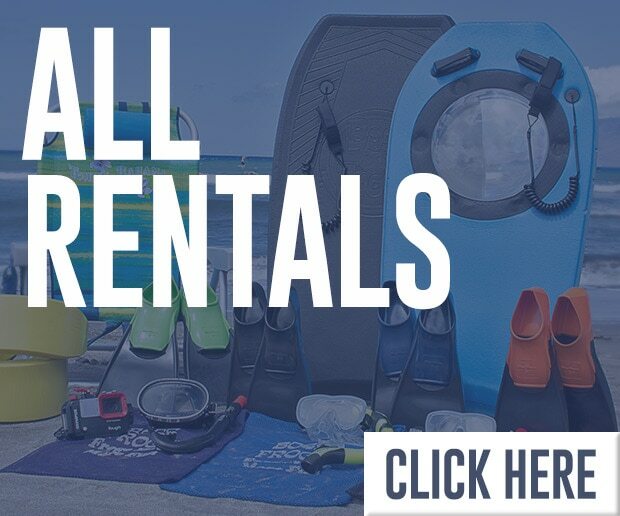 When you head out for a snorkel cruise, a whale watch, or an incredible trip along the Na Pali Coast, Port Allen will be your launching place. Hop aboard a comfy catamaran, and be ready to make some marine memories! When you’re back on shore again, check out the Port Allen Sunset Grill and Bar. If you plan to drink, we don’t recommend reversing the two activities – alcohol and ocean waves don’t always make the best combination. Hanapepe is one of the quieter towns available to visitors to the south side. Well known in the early to mid-20th century for hosting U.S. troops in training, Hanapepe Town now houses most of the art galleries on the island. Relax while you cruise through the shops and restaurants, admiring the often unchanged, original architecture. 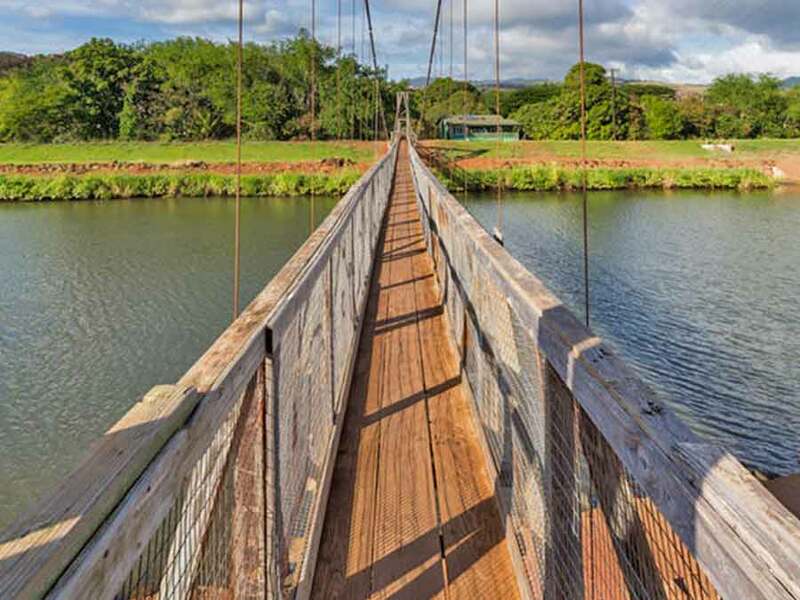 For those of you who lean toward adventure, try a walk across the narrow Hanapepe Swinging Bridge! Often referred to as the “Grand Canyon of the Pacific,” Waimea Canyon is about ten miles long and in some areas, over a mile deep. 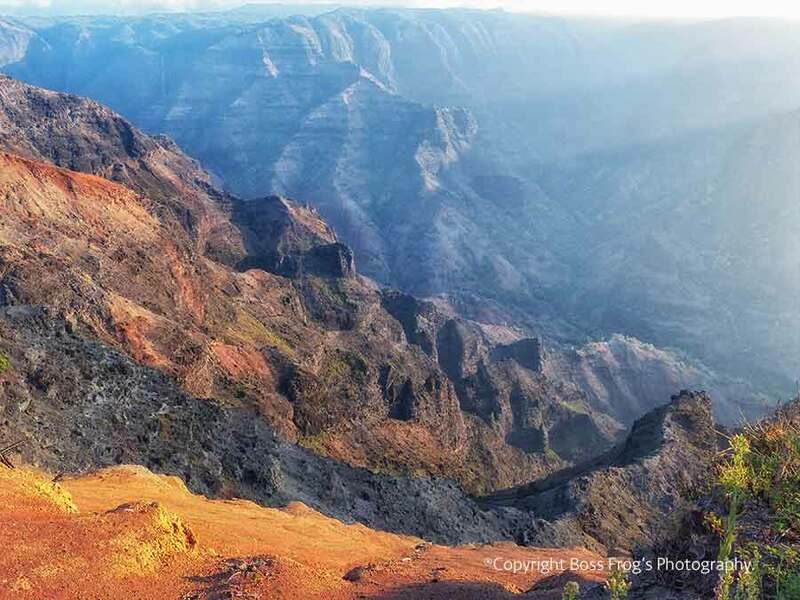 In Waimea Canyon State Park, you can take a short hike along a nature trail, take a much more challenging hike from the forest reserve nearby, or just take it easy and stop at some of the lookout points. You’ll find Polihale to be gorgeous beyond belief, no matter where you’ve traveled before. You can see the back side of the Na Pali cliffs, camp beneath a blanket of stars, and walk along a truly epic expanse of sand. 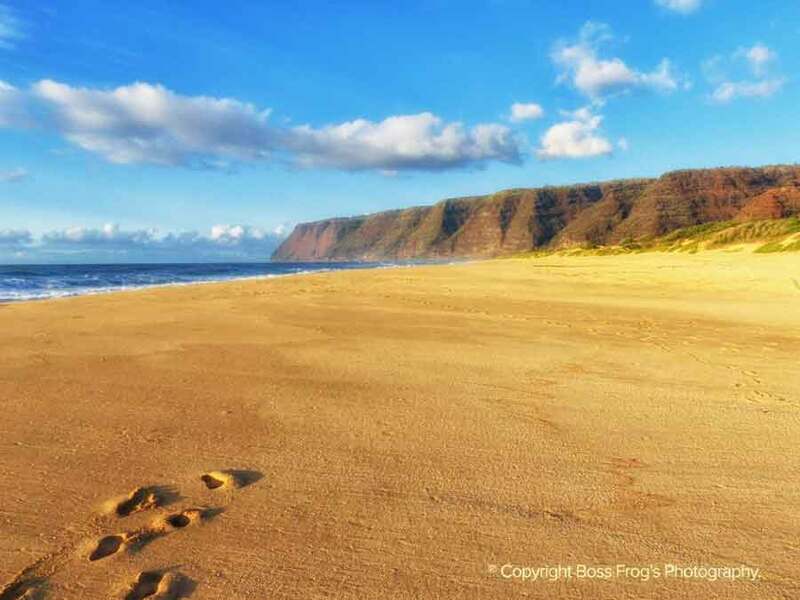 Four-wheel drive is recommended for the rutty dirt road leading into the park, and most rental car companies do not allow their vehicles to drive into Polihale State Park. If you do not have a rugged vehicle, it takes forever to get there, so just make sure “forever in Kauai” is blocked off in your schedule.